Parker, CO– Rocky Vista College of Osteopathic Medicine faculty and students were recently recognized by The American College of Osteopathic Family Physicians (ACOFP) with several awards and honorary positions. Thomas N. Told, DO, FACOFP dist., Dean and Chief Academic Officer of Rocky Vista University of College Osteopathic Medicine (RVUCOM), received the ACOFP Lifetime Achievement Award. This renowned accolade honors outstanding individuals who have demonstrated career-long service to patients, the field of osteopathic family medicine, and the ACOFP. Prior to receiving the Lifetime Achievement Award, Dr. Told served as the ACOFP’s national director from 2006 through 2007 and spent ten years on their board. He was named the National Educator of the Year in 2014-2015 and was also honored as the Family Physician of the Year in 1997. Duane Koehler, DO, FACOCP dist., current president of the ACOFP, presented Dr. Told with the prestigious award at the J.W. Marriot in Austin, Texas. David J. Park, DO, FAACP, FACOFP and Campus Dean at RVUCOM’s Southern Utah location, was elected as Vice President of the ACOFP. Additionally, Jill Pitcher, DO, FACOFP, Associate Professor of Family Medicine was named a Fellow of the ACOFP. 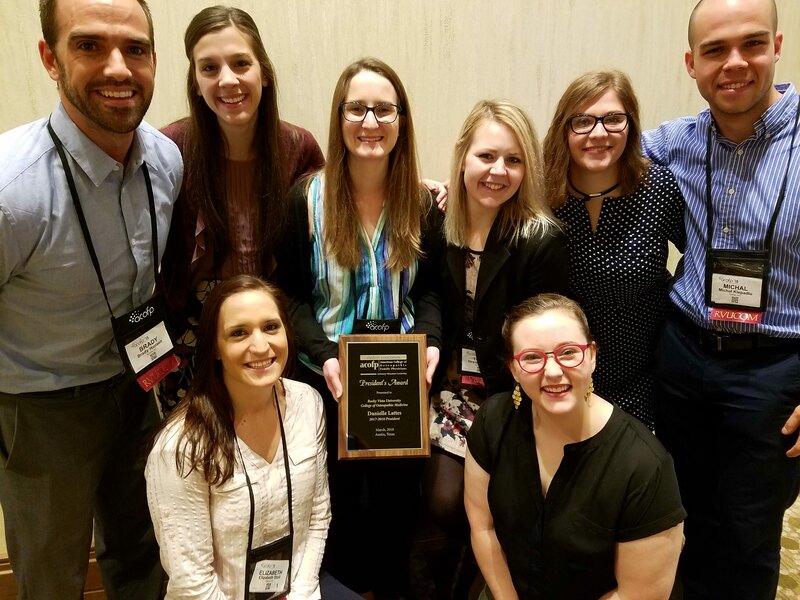 RVUCOM student doctor Elizabeth Stoll received the Osteopathic Family Medicine Student Award while RVU’s student chapter of the organization was awarded with the President’s Award for upholding the high ideals of the ACOFP.